Make sure that you have the flight_delays data set imported – and if you don’t, check out this video. All set? Let’s see some SQL best practices! If you don’t use it in this order, your query won’t work. Simple as that. 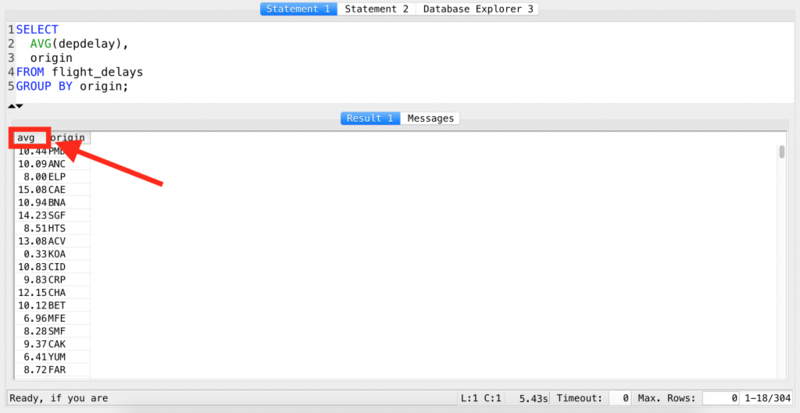 SQL first checks which data table we will work with. Then it checks the filters. After that it groups the data. Finally it gets the data – and if necessary, sorts it and prints only the first X lines. It’s great to keep this logic in mind, but the writing order is more important for now – so learn that one! You have seen me write queries in different styles. These three are the same query. 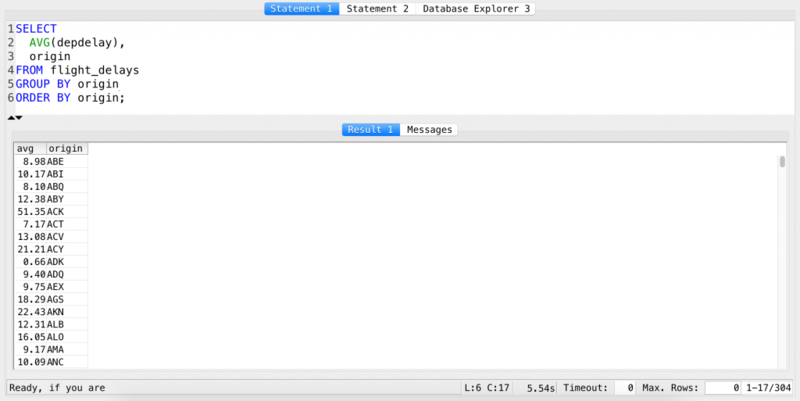 Spaces and line breaks do not affect the outcome of an SQL query. 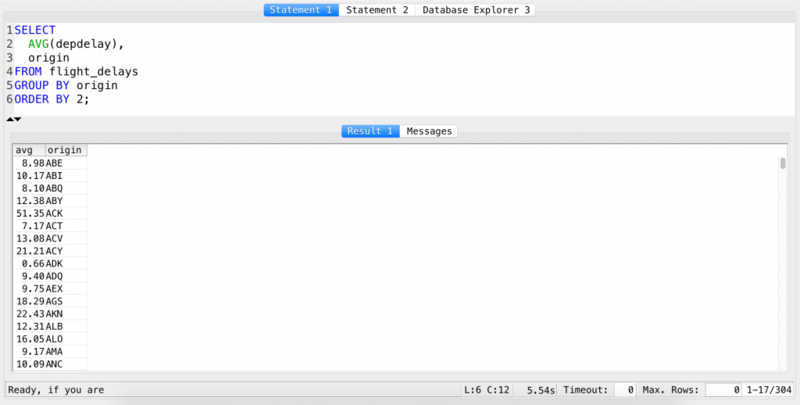 The only thing that matters is the ; that clearly indicates the end of the SQL query. Apart from that you can use as many spaces and line breaks between the different keywords as you want. So which style is the best? There is nothing like a set-in-stone rule to answer this question. It depends on many things (and mostly on personal preference), but just in general: people tend to use version C) the most. Why? Because that’s the easiest to read. It doesn’t make a real difference in a short query like this one, but it does make a huge difference in a very complex one (even 100 or more lines). 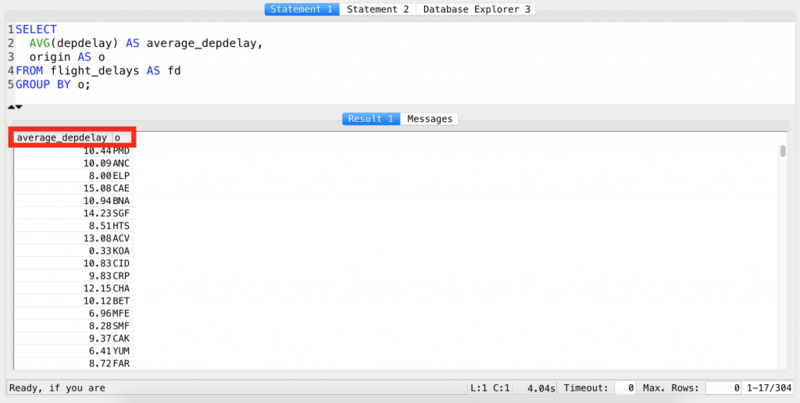 Being organized with your SQL queries is key to avoiding unnecessary headaches while you are debugging your code. Note: I have to admit that I get lazy as well sometimes and when I write an ad-hoc one-time short SQL query, I type everything in one line (Style A). But I break the line immediately if I see that I need to make it more complex. Use indentation for column names, operators (AND, OR) and similars! I’ve already mentioned in episode 1 that SQL is not case sensitive for the reserved keywords (eg. SELECT, AND, OR, GROUP BY). It can be case sensitive for column names, table names and field values – this depends on your settings. Note: for the postgreSQL database we use in these tutorial articles, only field values are case sensitive. All reserved SQL keywords (eg. SELECT, AND, OR, GROUP BY, etc.) should be written in capitals. All field values, column names and table names should be written in lowercase (except special situations of course, when the name of the column contains uppercase characters initially). Note: if you use SQL tools like SQL Workbench, the different keywords will also be colored, which helps a lot in reading and processing. Again: the name avg is the default name given by SQL. But we can change it to anything, using aliases. Using AS assigns the new header name temporarily. The change is effective only in the specific SQL query. Above I gave you some silly examples… The whole point of aliasing is to simplify and shorten the names and make the readability and usability of your code better. So be pragmatic and smart when you use aliases! Commenting your code is highly recommended in any programming language. For instance, if you are working in a team, it helps the team to understand your code. But you should comment for your own best interest too! If you write a query today, I guarantee that in 1 year you won’t have a clue what the heck that COUNT(origin) function was good for… So the next SQL best practice is about helping yourself remember stuff! I like to look at commenting as sending messages to myself in the future or in an alternate dimension. And it’s always really nice to receive these kind messages from my past self (of course most times I’m also very angry that past me wasn’t more detailed). Anyway. Commenting is important, no question about that. But how can you do it in SQL? Very simple. Type this: --. After the double-dash, nothing in that line will be executed. If you run it, you will see that the two comments won’t affect your results. There is a little “trick” you will meet sooner or later. So I want you to hear it first from me – to avoid any trouble with it in the future! When you use ORDER BY and GROUP BY, you can of course use column names (as we have done so far) but you can also use column numbers (that’s the new thing). Try it yourself… and then never use it again! Imagine a very common scenario: you tweak your query and you add an extra column (eg. 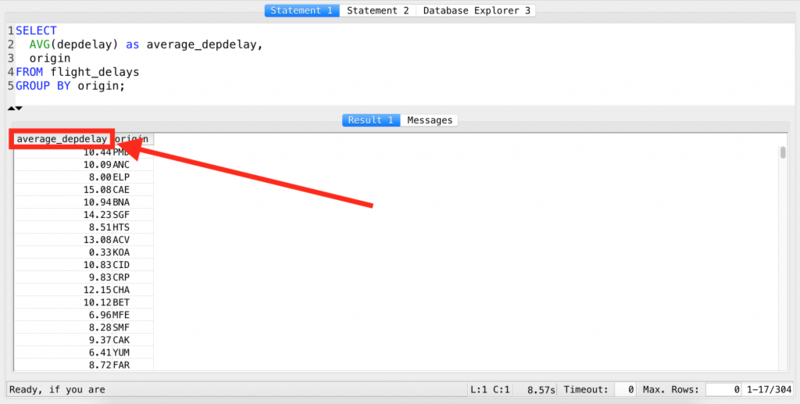 SUM(depdelays)) as first in your SELECT statement… If you use column names, everything will just work fine. If you use column numbers instead, your query will order by the wrong column (because you should have changed the column number in the ORDER BY clause too, but you might have forgotten). So do yourself a favour and don’t add unnecessary points of failure to your query – your job will be complicated enough without those too! So the fifth SQL best practice is: Always use the actual name of the columns when you refer to them (either in ORDER BY or GROUP BY) and never use the number. Now you are good enough in SQL to learn the terrible truth: we don’t use * in real data projects’ real queries – at all. Use column names, not *. Those were my 6+1 SQL best practices for today. 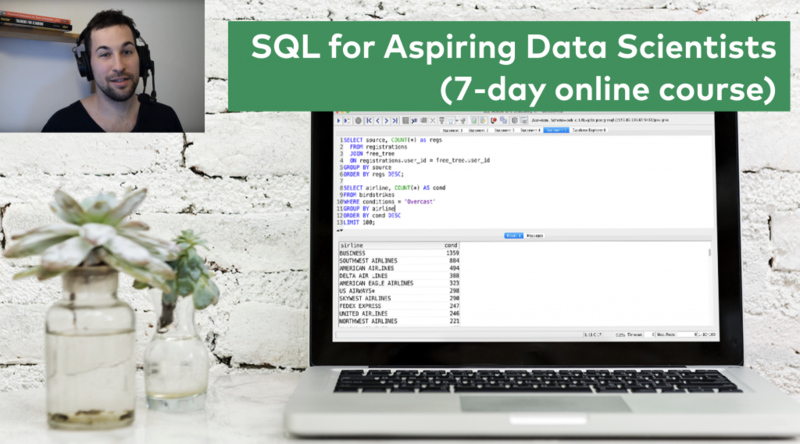 I hope they will help you be more efficient and practical with your SQL tasks! For further reading I suggest this nice website – I’ve just recently discovered it too, but I have found it very useful. Stay with me, because in the next episode I’ll show you one of the most well-known and appreciated features of SQL: JOIN.